My most recent body of work tittled 'Elements of Trace' concentrated on erosion, and urban sprawl. 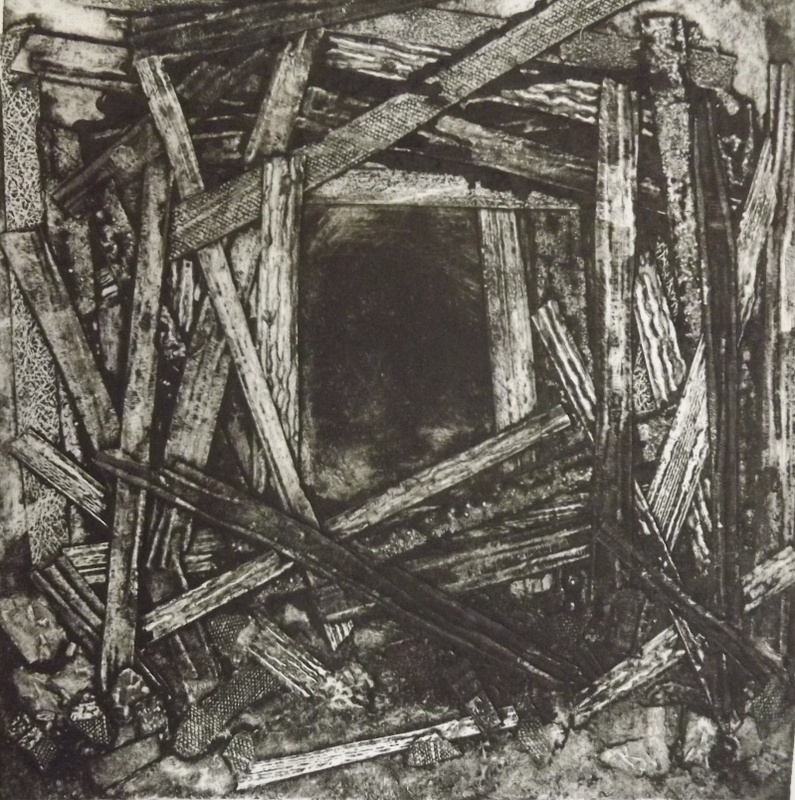 I achieved this by producing a series of Collagraph Prints and through drawing and recording a particular area. Artists such as the Boyle family led me to looking deeper into the surface of the earth, which sparked my fascination of how the world is continually changing down to human and animal intereference. I've just started my third year of my degree and Ive decided to still research landscape and its continuouslly changing face, but also delve deeper into abstraction. I am currently a third year degree student, studying Drawing for fine art practice at Swindon College.